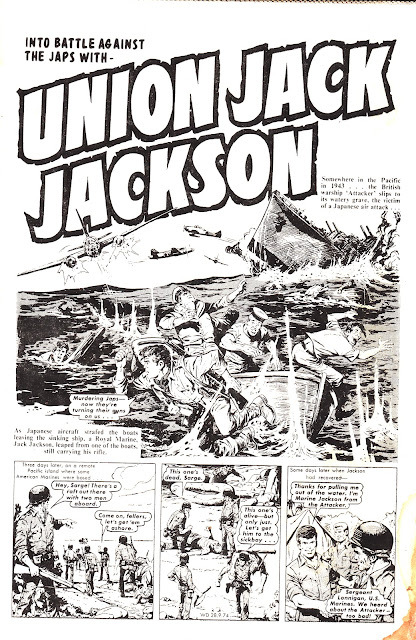 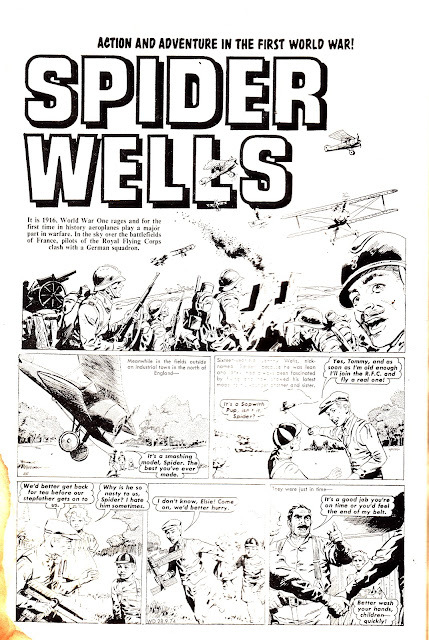 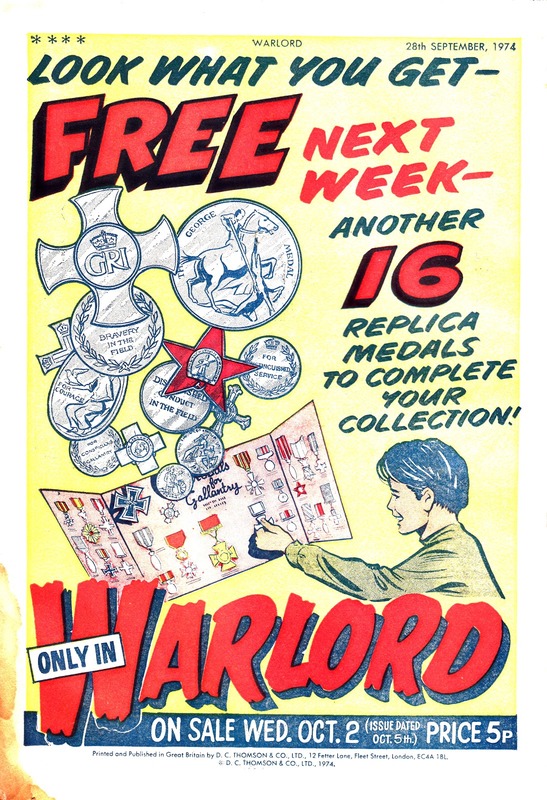 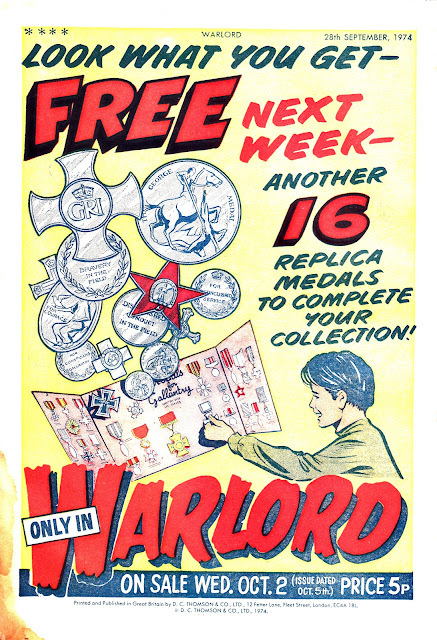 This is a 5p landmark from British comics: the first issue of DC Thompson's war weekly WARLORD. 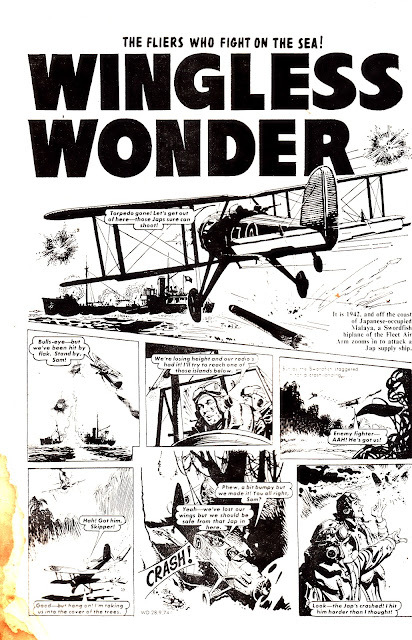 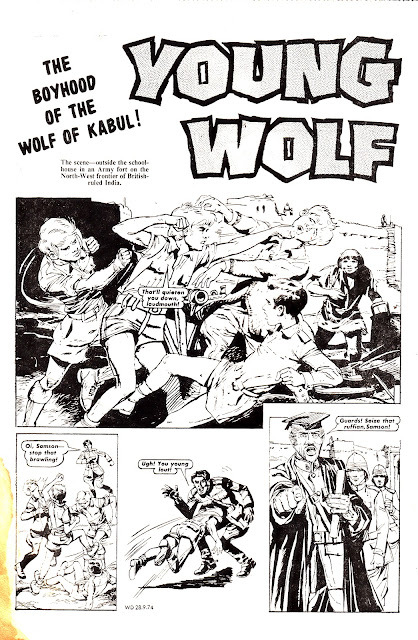 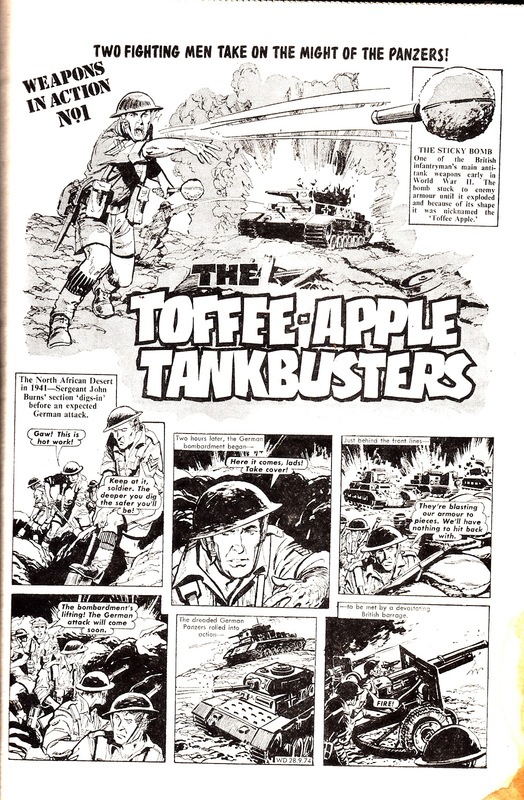 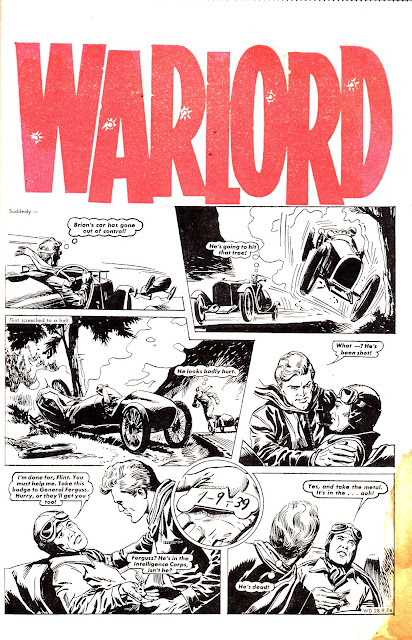 Not only did it bring a new attitude to the moribund genre of British war weeklies, its success prompted IPC to launch BATTLE (March 1975) and ACTION (February 1976). The illegitimate spawn of all three would outlast them all: 2000AD (February 1977). 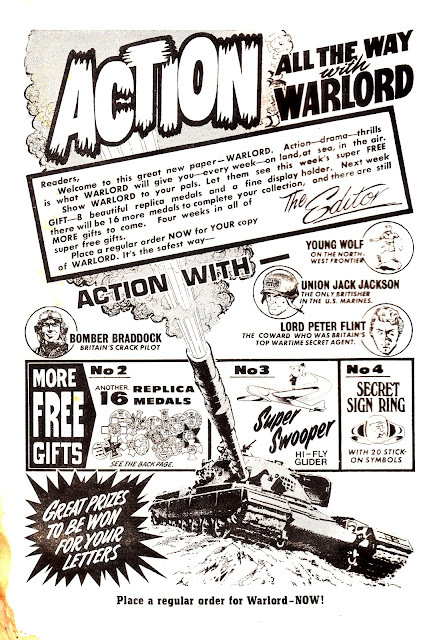 Even Marvel UK launched a me-too Warlord wannabe, FURY, in March 1977. 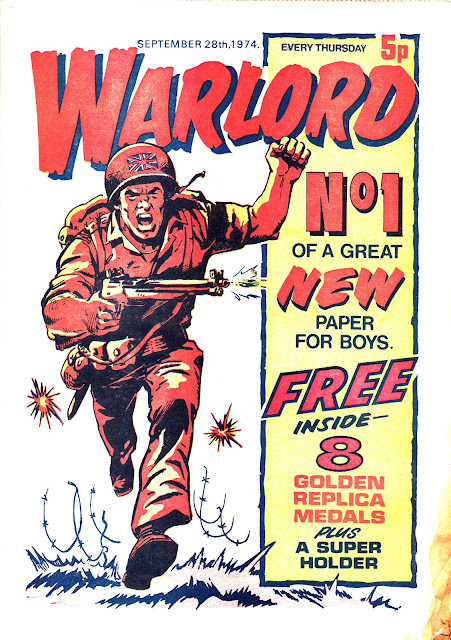 Warlord ran for 627 issues, eventually succumbing to the collapsing comics market in September 1986. 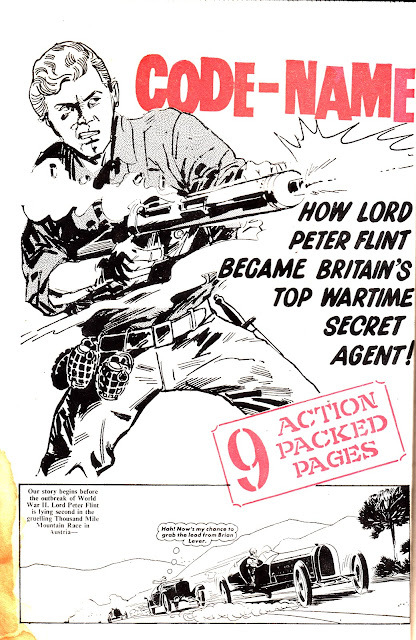 Its principle rival Battle clocked-up 673 issues before merging with EAGLE at the beginning of 1988.